Discard roots of the coriander & retain the leaves with the stalk. Separate leaves from the mint. Wash the fresh coriander & mint well & drain. Wash & soak the tamarind in warm water & extract thick paste/juice. to form a thick smooth paste. Place the green chutney spread in a bowl. Make sandwiches with this spread. 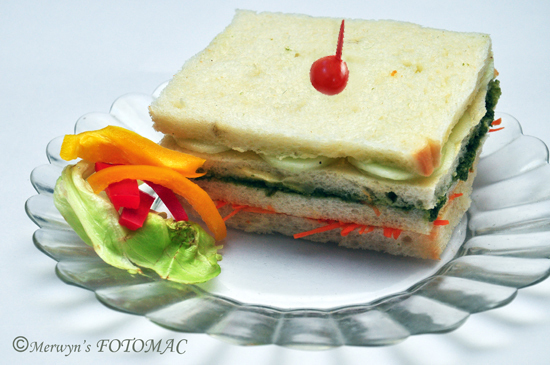 Assemble the club sandwich using butter, chutney, carrot & cucumber. 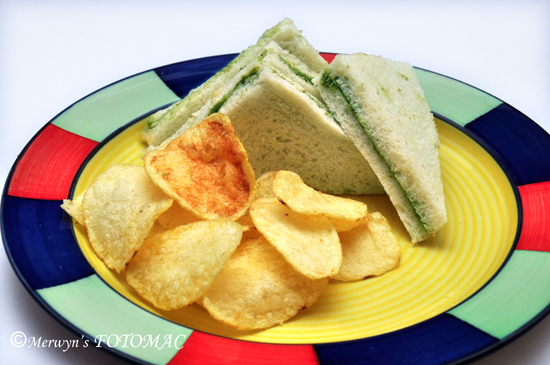 You can prepare your own special sandwiches using different combinations.